Pentana Solutions knows that scanning technology isn’t new. The first systems that could convert paper documents into electronic data were developed years ago. The difference now is that DocuSmart Scan is doing it smarter. Pentana Solutions’ DocuSmart Scan can capture information from any source, not just paper documents. And after capturing, documents are indexed automatically, without interruption, so they don’t stay buried in your inboxes. By setting up pre-defined requirements to pass your paper documents onto appropriate workflows and other applications DocuSmart Scan will teach the system how to work for you faster, smarter and more effectively. DocuSmart Scan is not your average scanner, and you no longer have to do average work. DocuSmart Scan converts your scans into searchable files and initiates workflows based on content. The documents are then passed on to your business processes, ready for the approval, distribution or filing by the assigned user. DocuSmart Scan ultimately gives you full control and transparency of every trail of documentation in your business. DocuSmart Scan can scan paper documents and PDFs into searchable files; these files can then be categorised based on anything from content and barcodes to fixed zone values. DocuSmart Scan uses optical character recognition to identify all words in a document for easy retrieval. Content values extracted can be used to initiate workflows or update your ERP system, without the need for manual entry. 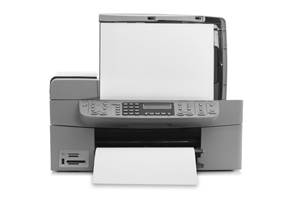 DocuSmart Scan supports a wide range of output formats. The results can be sent directly to applications such as Microsoft Word, Excel and PowerPoint, and Adobe Acrobat. As part of the DocuSmart suite of products, DocuSmart Scan integrates fully with DocuSmart Archive, ensuring all documents are searchable and retrievable in seconds. Pentana Solutions’ DocuSmart Scan can provide your organisation the ability to start processing documents faster, more efficiently and more profitably. No more boxes of copy paper cluttering up your stationery cupboards, and no more photocopiers. The best part about all DocuSmart suite products is that they’re available to be stored on Pentana Solutions’ Cloud. Pentana Solutions gives you the option to run your infrastructure as a service of Pentana Solutions, eliminating the hassle that comes with managing technology. Your server is stored offsite and your resources are scaled to only what you require. Cloud significantly reduces your business risk by having automated backup without you having to do anything. Your data is protected from floods, fire and any other disaster allowing your business to run under any circumstance. Last but not least, no more capital expenditure; enjoy elastic resources with Cloud, only paying for the storage and data resources that you need.